When the person on your left is running fast, the person on your right is running fast, the person behind you is trying to pass you, and the person in front of you is trying to drop you, it’s a great opportunity for a runner to push his or her limits. 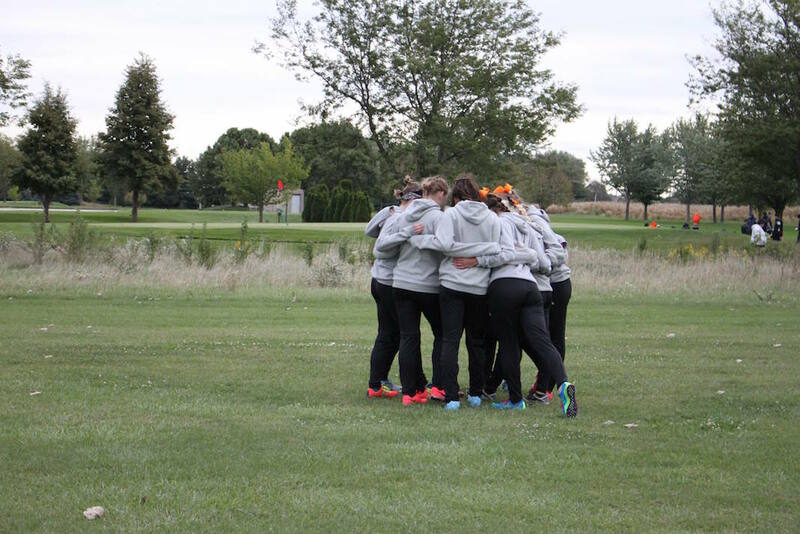 The women’s cross country team seized the day on Friday, September 28 at Olivet Nazarene University and produced some of their best efforts of the season. Hannah Williams picks up the pace. The course was conveniently flat and the weather was a runner’s dream with perfect conditions, aside from some strong wind. “The temperature was perfect; it wasn’t too hot but it wasn’t too cold. 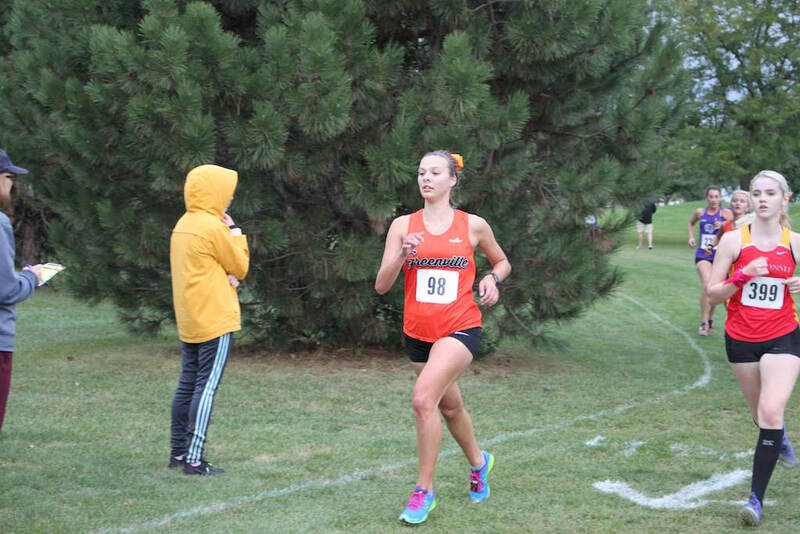 It felt beautiful, but the wind was not forgiving.” was how freshman Alyssa Comer described the day. Drafting off fellow runners was the ideal strategy for a competitor looking to put up their best time with the 18 miles per hour winds. Coach Patton emphasized the importance of drafting prior to the race. Drafting is the use of the competitors around you to off put wind resistance. This advice served as an effective approach for our athletes as each of them took on the 5k distance with intensity and cranked out some quick times at the collegiate level. Emma Leonhard, a freshman, scored points with a time of 22:20 coining the 67th spot out of 129 finishers. Sabrina Favela, also a freshman, completed the course with a time of 21:58 filling the 60th place in the race. Coming off an early-season injury, Sophia Allen, a freshman, claimed 56th place in her first ever collegiate race with a time of 21:46. She stated, “It was a really great day and it’s nice to finally be running with my team.” Hannah Williams, a freshman, scored some significant points with a time of 21:43, finishing 54th. Then a leading senior on the team, Sheridan Noll, cleared the 52nd spot with a 21:37. Kori Nesbit, a junior, finished with an exceptional time of 21:03, earning her the 37th position. Shirley Estes, a senior, ran an aggressive race, finishing 30th and cracking 21 minutes with an impressive time of 20:46. It was a notable day for the entire team. Each regular performing member is showing clear progression and this serves as fire as the weeks roll by. These ladies placed seventh as a group out of sixteen competitive teams. They continue to build on and improve an already talented team. Nesbit felt it was a really good race for everyone. She’s very proud of the improvement the underclassmen have made while also adjusting to the stresses of freshmen year and she can’t wait to see what performances the young talent can produce with conference and regionals just around the corner. With each meet, the competitive times grow faster but our Panthers respond to the tension with determination. As the athletes on their right or on their left pick up the pace, or the runner behind tries to chase them down, and the competitor in front attempts to bring the heat, the Panthers will simply answer with drive. 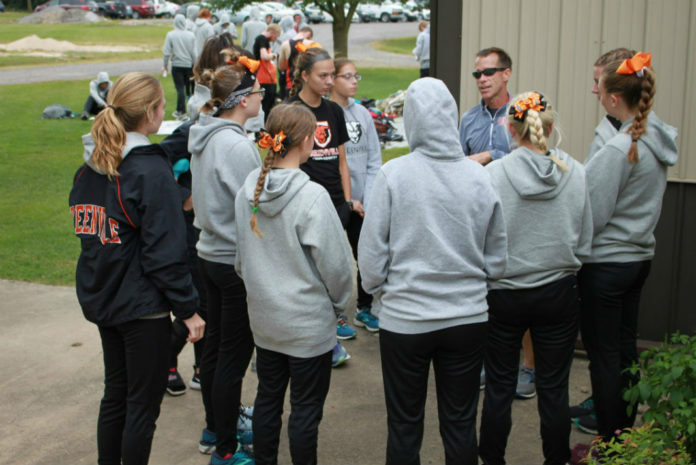 The Greenville University cross country team will be ready in three weeks when tensions our high. The SLIAC Conference meet will bring out some of the fastest races these ladies have ever run. Don’t overlook the upcoming opportunity to cheer on the Panthers on October 27th when they race at 10:00 A.M. on the Litchfield golf course for the SLIAC championship.